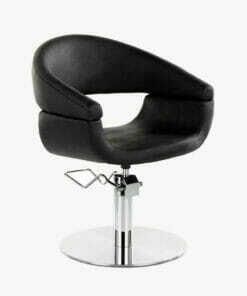 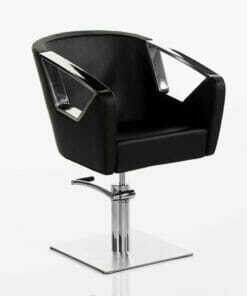 Galaxy Hydraulic Styling Chair in Black. 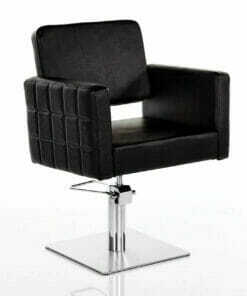 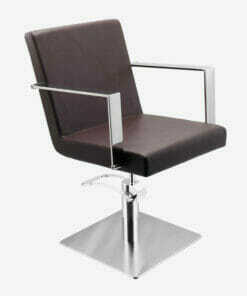 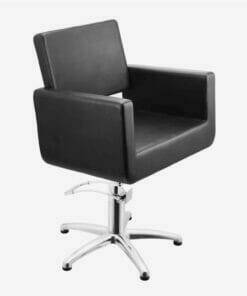 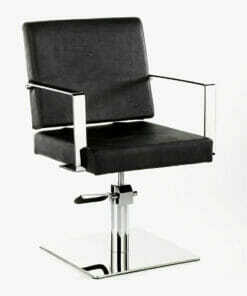 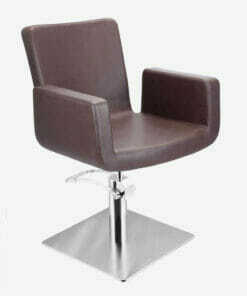 Fully upholstered salon chair with a modern squared design. The Galaxy Hydraulic Styling Chair features a deep cushioned seat, backrest and arms. 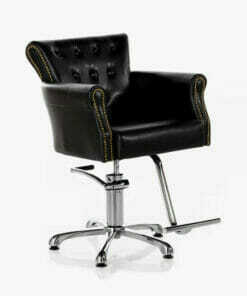 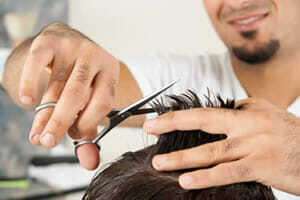 This gives great client comfort and support. 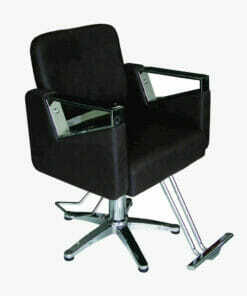 And the gap between the backrest and the seat allows for easy cleaning of hair. 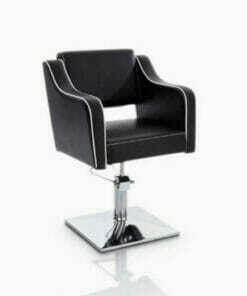 It comes complete on a chrome plated square base. 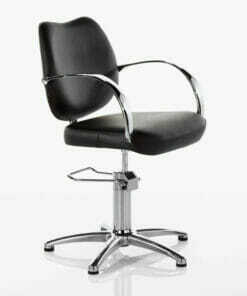 Supplied with locking hydraulic pump. 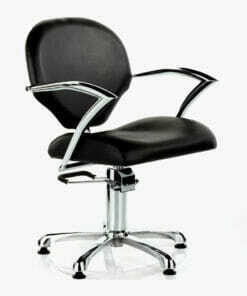 This makes for easy height adjustment and prevents the chair rotating while in use. 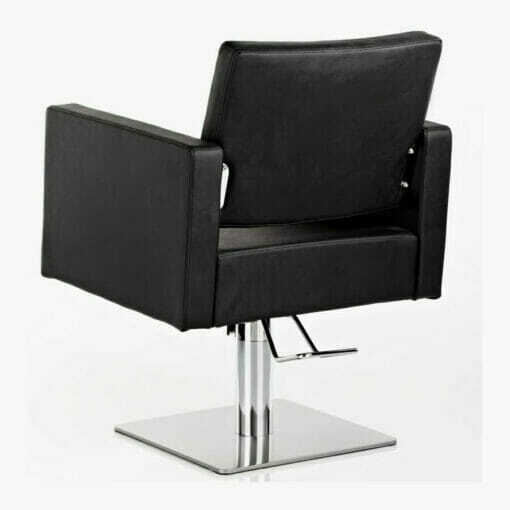 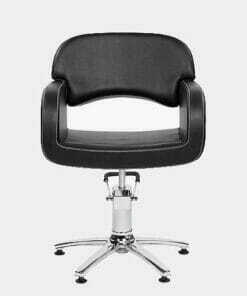 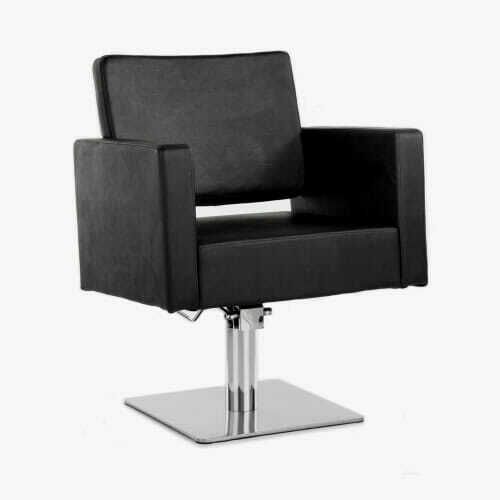 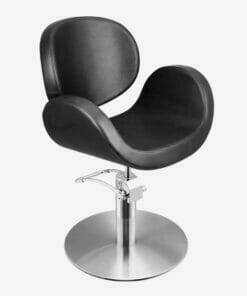 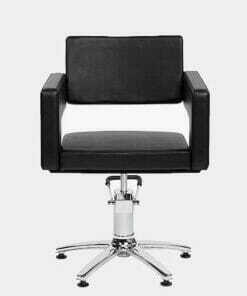 The Galaxy Hydraulic Styling Chair is upholstered in black fabric only. 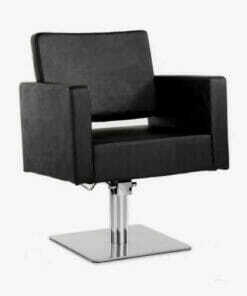 Dimensions: Width 68cm, Height 47-62cm, Depth 60cm. 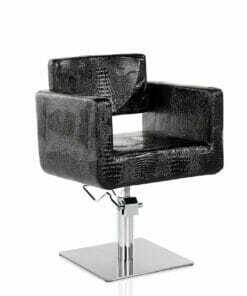 Matching Wash Point also available to complete your salons look. 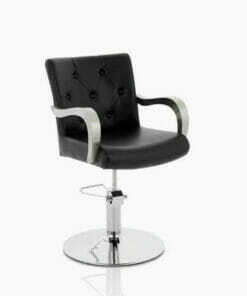 Galaxy Hydraulic Styling Chair. 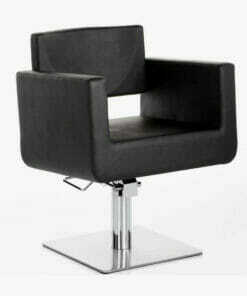 Supplied on a Square Base. 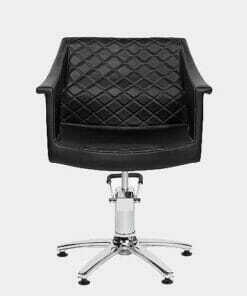 In Black Upholstery. 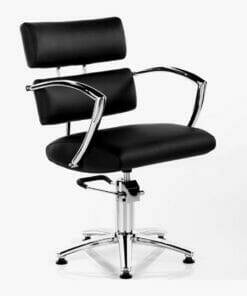 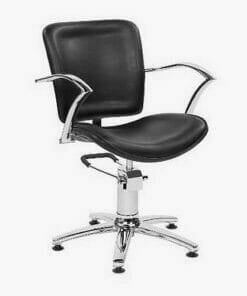 Professional Salon Chair. 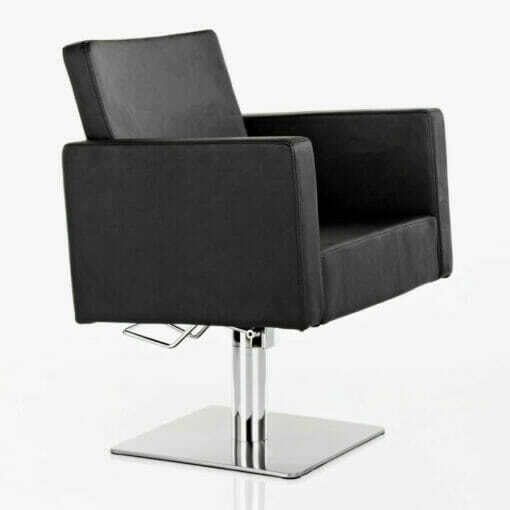 SC435.